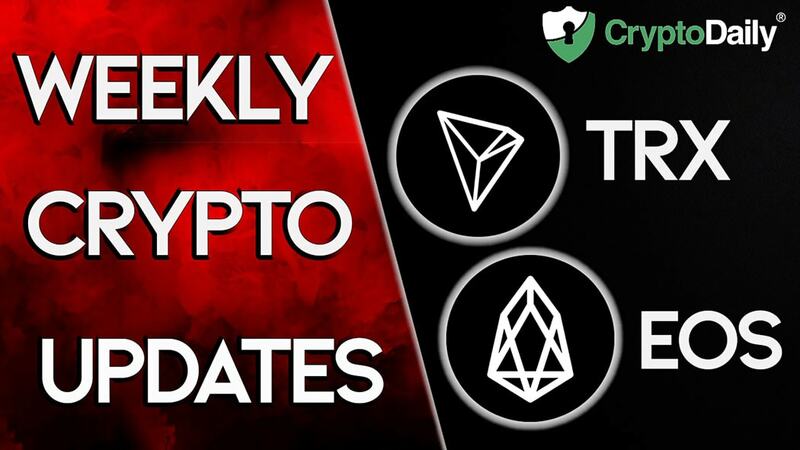 The past week has seen some very positive movements from the two Ethereum rivals TRON and EOS, both of which regularly reside in the cryptocurrency markets top ten and both of which often hit the headlines. There are some similarities that can be drawn between the two, however speaking generally, EOS and TRON are very different. So, since their similarities can’t explain why EOS and TRON have had such a positive week, let’s explore what’s taking TRON and EOS to the moon this week (not literally). Many believe that the value of TRON will eventually climb to it’s old heights. Generally speaking, through 2018 and into 2019 TRX, the native token to the TRON project has not made a huge amount of progress. Even so though, not all hope is lost. This is set to encourage the value of TRX, as more people purchase the token for holding purposes, in order to get a slice of BTT. Airdrops like this, really encourage the community to be proactive with their investment and aside from the riskiness of crypto-volatility, these airdrops are actually a win win situation for investors, providing they can afford to take part of course. We have recently heard more exciting news from Justin Sun, the creator and CEO of TRON. Sun has recently spoken to his community, affirming his goals to truly decentralise the internet, and take power back from big players such as Amazon, Google and Facebook. You can see our coverage of this story for yourself, here. Likewise, EOS has made some progression of late which all seems to be down to some exciting updates to the EOSIO software, a key part of the EOS project which is maintained by a blockchain firm called block.one. The update is said to have encouraged a transaction speed increase of up to 35%, proving that EOS is becoming faster and more scalable by the day. The new software is yet to see a full rollout, so the full scale of this cannot yet be seen, even so though, the EOS community and the rest of us are now starting to feel quite bullish about EOS. Positive developments do have a big impact on the markets. Let’s hope this isn’t the last we see of TRON and EOS and let’s hope this momentum continues to build.